Offering endurance coaching for beginners through to elites. Being a part-time endurance athlete himself, John fully understands the challenges of balancing work, family and sport, endeavoring to help people achieve both athletic success and balance in their lives. Growing up in Johannesburg South Africa, John excelled at swimming during his school career, placing 1st overall in the open age group. Since then John’s participated in a myriad of sports, from mixed martial arts to long distance cycling. 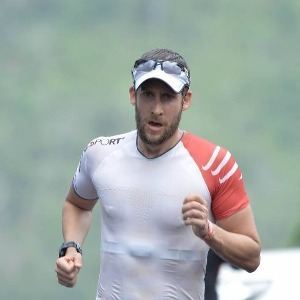 John has competed in numerous triathlons of varying distances over the last several years, all the while balancing a thriving career in technology management. Having overcome multiple severe injuries during his career, John has exceptional insight into the rehabilitation process, and has key first-hand understanding of the mental endurance required for competition. John’s an innate problem solver, and he’s always willing to explore new and alternative approaches to training that are tailored to each individual’s needs and lifestyle. John places particular emphasis on nutrition in order to get you the best possible results. Success. Coach John Middlewick has been notified of your message.